open and tubular, book folded or roll. specialist for fabric can rolls up to 100kg. the machine, having the other hand free for checking fabric. ends, as well as spread in any place on the table. Adjustable in speed according to the material we have to work with. Adjustable in cutting length, Able to cut paper under the marker. CEE, security rules, emergency stop if there is a supplier tension failure, if there is an engage of the cutting device. Also machine goes with SAFETY SENSORS, to avoid any crush with a operator worker. l Automatic start checks control when machine is switched on. l Adjustable spread speed from 0 to 80 m/min. 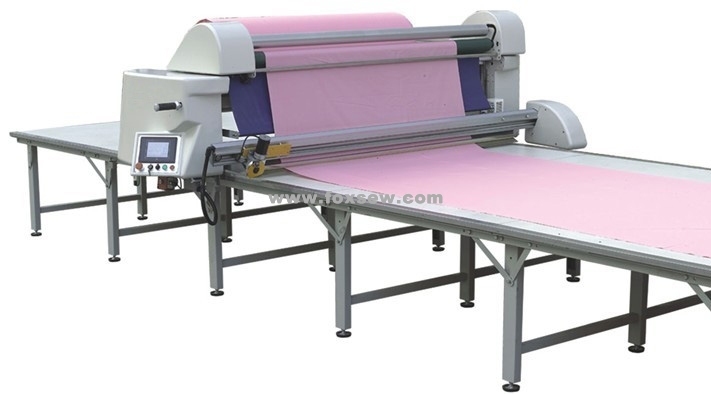 Spreading any kind of fabric: Knitting fabric (open fabric, tubular, roll, book folded), and woven fabric. Looking for ideal Automatic Spreading Machine Manufacturer & supplier ? We have a wide selection at great prices to help you get creative. 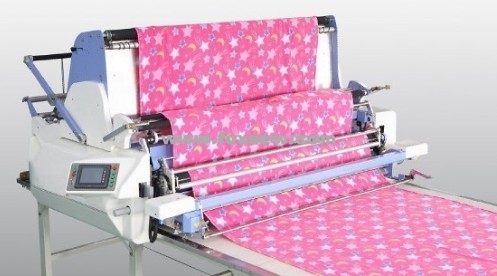 All the Automatic Spreading Machine for Knit and Woven are quality guaranteed. We are China Origin Factory of Full-Automatic Spreading Machine. If you have any question, please feel free to contact us.